Office 2019 works only on Win 10. You need to follow the instructions. Microsoft Visual Studio Professional 2019 - Unlimited PC's 🔥 Lifetime License!! Cannot be used to upgrade from an existing installation. 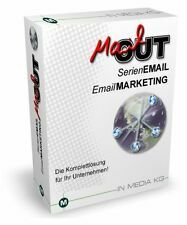 GENUINE PRODUCT KEY & DOWNLOAD LINK. 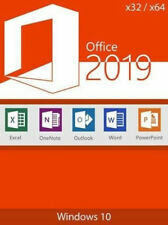 Microsoft Office 365 Pro Plus 2016/2019. Acquistando due Office 365 riceverai in omaggio un account a scelta tra Durata illimitata con account Microsoft dedicato. 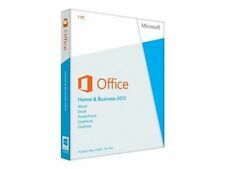 If you buy two Office 365 you will receive a free account of your choice between. 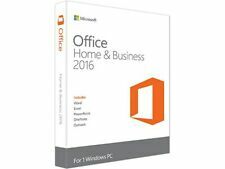 Microsoft Office 2016. Excel 2016. PowerPoint 2016. OneNote 2016. Sourced from Authorized Microsoft Distributor. Works on All Languages (Multilingual). QUICK & EASY Installation. 3GB Hard Drive Space. Sistema operativo Mac. Sistema operativo Mac OS X versione 10.10 o successiva. Grafica: scheda grafica DirectX 10. Risoluzione dello schermo: 1280 x 800. Disco rigido in formato HFS (macOS Extended o HFS Plus). Project 2019 Professional is only compatible with Windows 10. Visual Studio Enterprise 2019. · ONCE YOU DOWNLOAD, INSTALL AND ADD PRODUCT KEY YOU WILL GET VISUAL STUDIO ENTERPRISE 2019. Windows 7 (32-bit / 64-bit), Windows 8 (32-bit / 64-bit), Windows 8.1 (32-bit / 64-bit), Windows 10. Analyze and visualize your data in a new, intuitive way with a new user interface as well as with your favorite keyboard combinations. 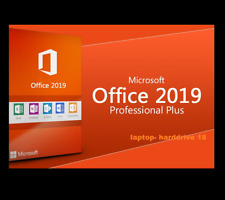 This is the full version of Office 2019 Professional Plus. This is not a subscription to Office 365. 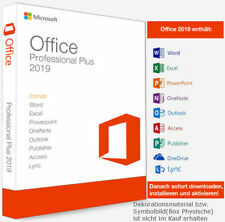 MICROSOFT OFFICE 2019 PROFESSIONAL PLUS. 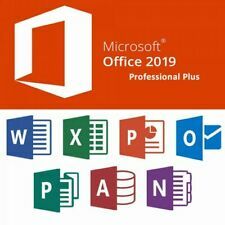 Office 2019 Professional Plus includes: Word, Excel, PowerPoint, Access, Publisher, OneNote, Outlook. Visual Studio Professional 2019. Visual Studio PRO 2019. · ONCE YOU DOWNLOAD, INSTALL AND ADD PRODUCT KEY YOU WILL GET VISUAL STUDIO ENTERPRISE 2019. Project Professional 2019 is an optimal program to properly manage your projects. You have been warned. A: Key works on both x86 (32Bit) and x64 (64Bit) versions of Windows. Q: Do i get a download link to the application?. Office 2016. Professional Plus. All office is to be uninstalled. The lawsuit was dismissed. The Following item is for a single PC only. Visio Professional 2019 allows individuals and teams to easily create and share data-linked diagrams that simplify complex information. 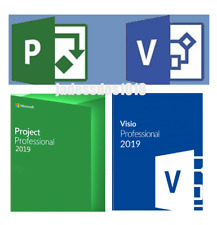 Microsoft Visio Professional 2019 makes it easier than ever for individuals and teams to create and share professional, versatile diagrams that simplify complex information. Readiris Pro 16 OCR-Software - Optische Zeichenerkennung NEU/OVP !!!!!! Readiris Pro 16 - OCR-Software. Diese editieren Sie dann wie gewohnt z.B. mit Word und Excel. - 137 OCR-Sprachen (auch asiatische und arabische Sprachen). Das Layout mit Hintergrundbildern, Texten und sogar Tabellen bleibt erhalten. Word 2013, Excel 2013, PowerPoint 2013, OneNote 2013, Outlook 2013, Publisher 2013, Access 2013, InfoPath 2013, SharePoint Workspace 2013 & Lync 2013. Under one minute! A touch-enabled device is required to use any multi-touch functionality. Project Professional 2016 is an optimal program to properly manage your projects. Project 2016 Pro. 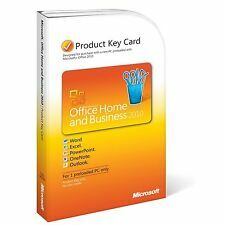 OEM Product Key for Project 2016 Pro (for 1 PC). Microsoft Project 2016 Professional Official Microsoft Download Link for 64-bit & 32-bit version. Offline with Lynda App and Desktop ✔. Offline con Lynda App and Desktop ✔. Certification released at the end of each course ✔. Gli account non sono crackati/rubati e non sono account condivisi. Account are not stolen/cracked, and they are not shared with anyone. MICROSOFT VISUAL STUDIO 2019 Pro/Enterprise LIFE TIME LICENSE.